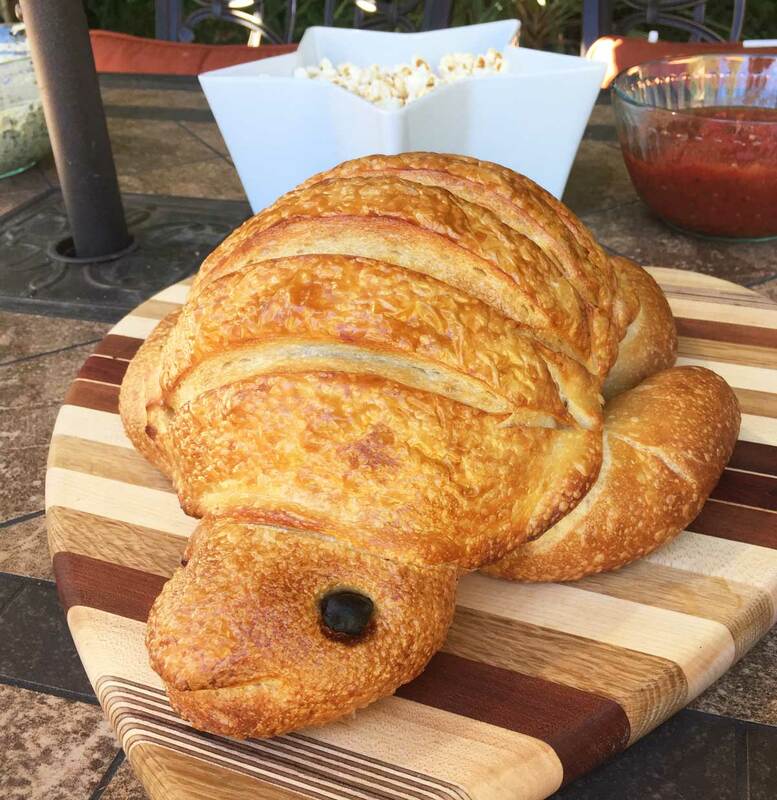 Following the theme of the pizza pool party invite, I tried to order a dolphin-shaped sourdough bread from Boudin to go with my spinach dip, but they said all they could make me was a turtle. I’m pretty sure that turtles and dolphins live together harmoniously in Hawaii, so I figured it was close enough. 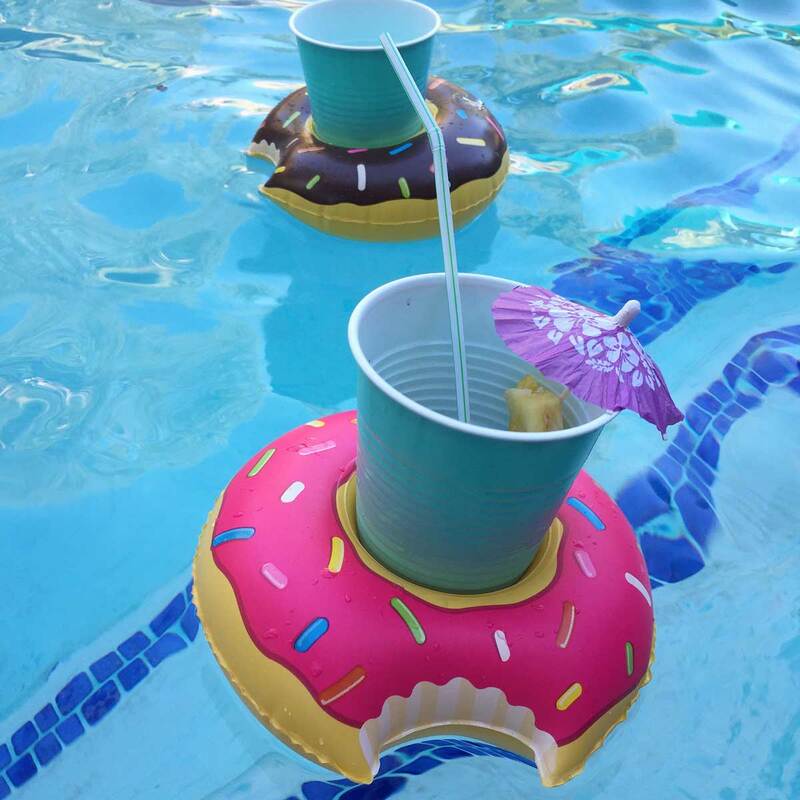 Then just when I thought I had the party theme figured out, Jocelyn suggested a tropical theme, and I couldn’t resist after seeing the super cute plates and straws she found (you’ll have to trust me on this since I was too busy pool partying to take pictures of them). 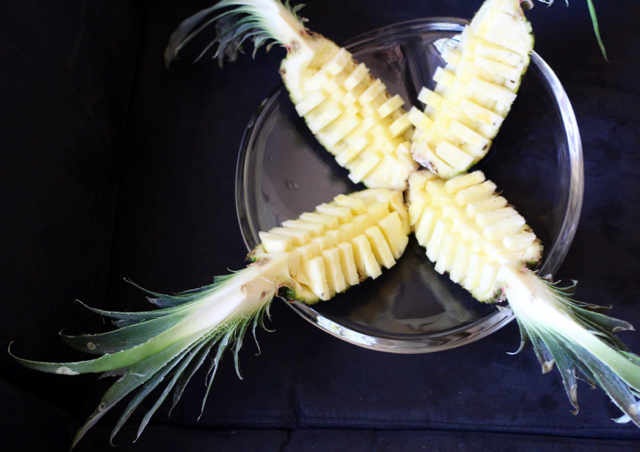 I found an organic pineapple at Costco and sliced it on periscope. Jessica tried to choose strawberry shortcake as her birthday cake this year, but we all (‘we all’ being the two people who read these blog posts) know that she chose that same type of cake 2 birthdays ago, and JUST BECAUSE IT’S HER BIRTHDAY DOESN’T MEAN SHE GETS WHAT SHE WANTS, so we settled on strawberry lemonade cake. 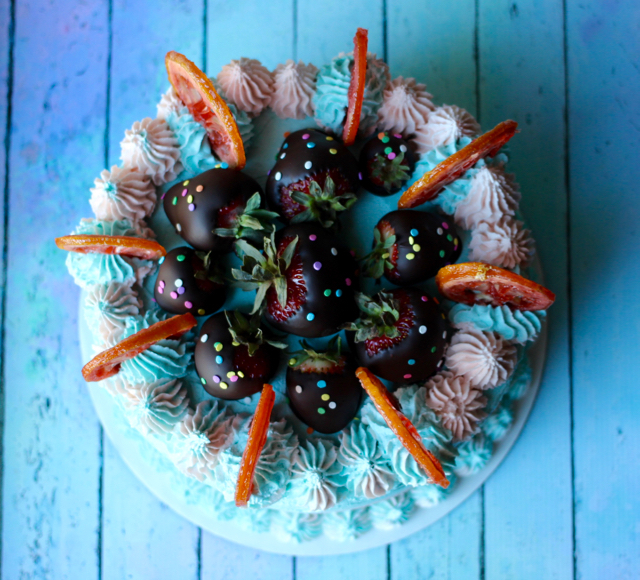 If you’d like the recipe for this cake, go check it out. Jessica also requested a ginger-lemon punch (which means she really just wanted moscow mule mocktails), so I used Veri gingerale and lemon-lime soda, lemons from my dad’s tree, fresh homemade organic ginger juice, aronia berry juice (from Knudsen), stevia, and water. Here’s the recipe. 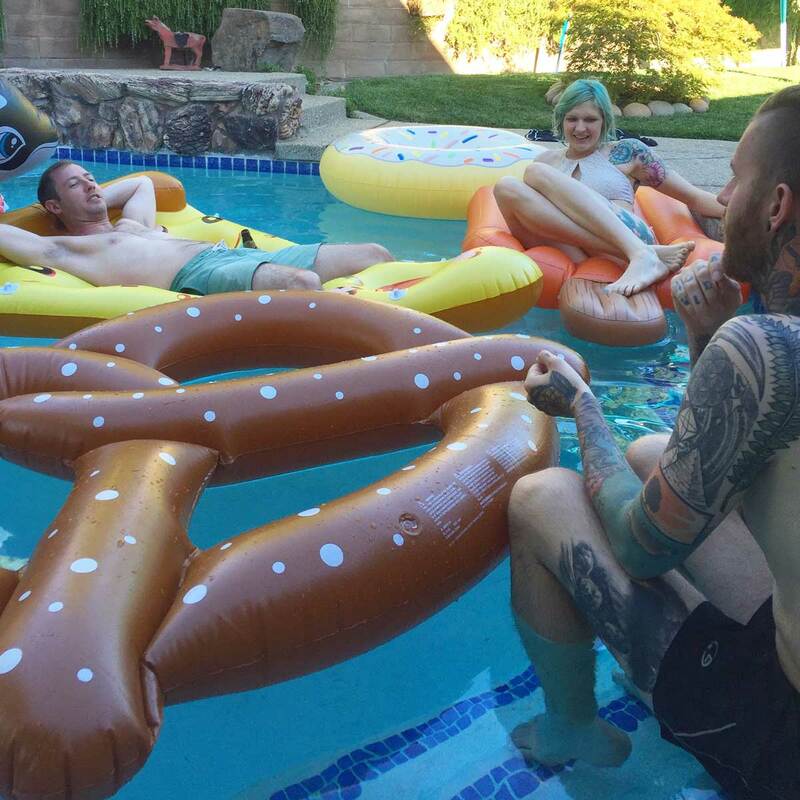 I found some donut-shaped pool floaty drink holders, and Jessica found some enormous food-shaped pool floaty people holders, so I think we’re pretty much all set for this party. 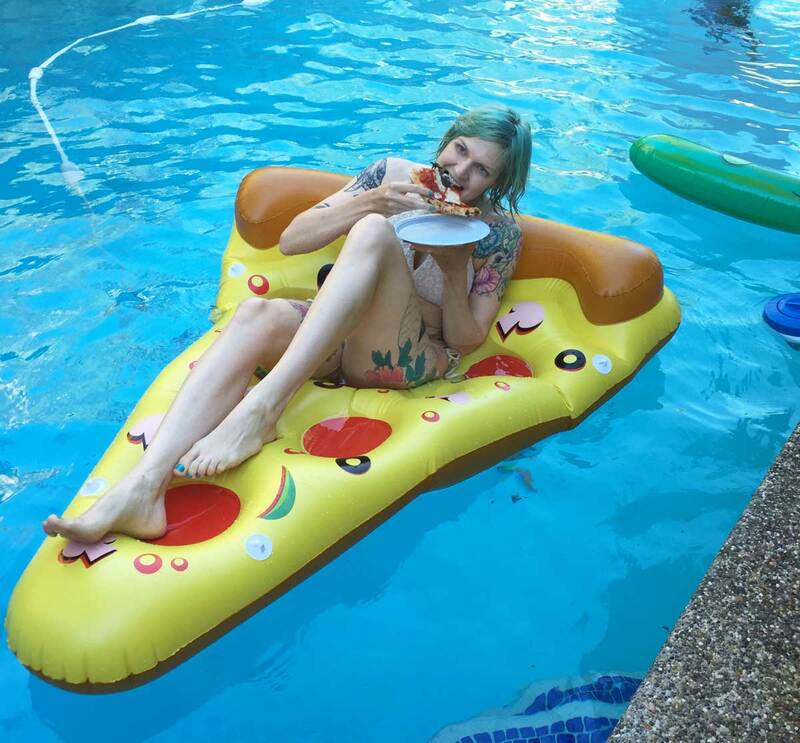 Jessica made this collaborative playlist on Spotify for everyone to add songs to in the weeks approaching her party, so I’ve been listening to it while I prepare the party food, wrap presents, and of course, while I write this blog post.